I have no idea what drove me to make something like this, but I’m glad I did. Most canned or jarred dips are overly salty, overly fatty and overly bad for you. Not to say that would ever stop me from eating them. 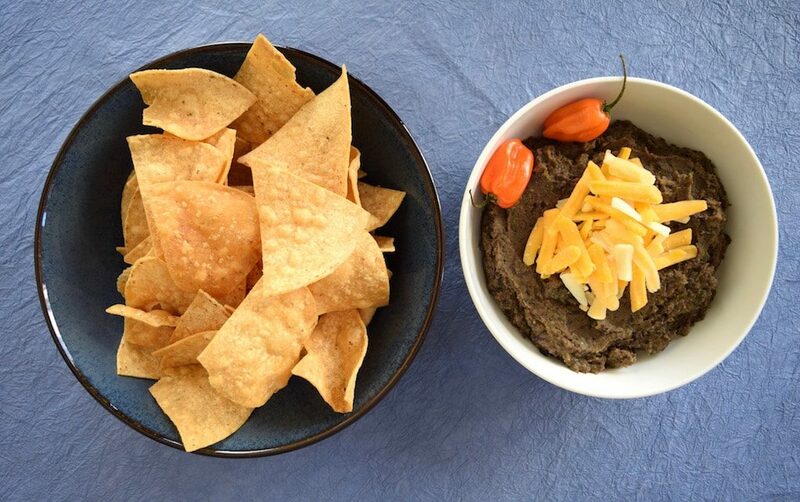 This dip, though, is natural, low fat and low carb. 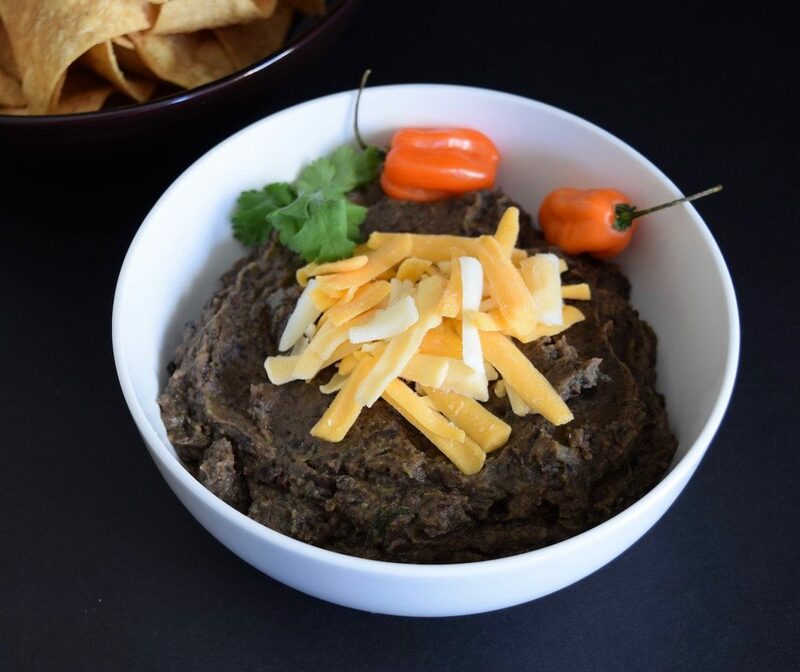 Just for that reason, it’s a winner, and note that the ingredients, other than the beans, can be substituted and quantity-adjusted in countless ways to get the flavor that you want. Oh, and it’s vegan if you omit the optional cheese. What I made generally suits my palate, but next time I’d try a different variety of flavors. Actually, when I first made it, I wasn’t all that happy with it. But after a couple of days in the fridge (the dip, not me), I felt it tasted much better than I originally thought. I used dried beans, which are a bit of a pain to cook, but worth it. If you’re using canned beans, here’s a great article on weight conversion. The section about canned beans is just above the conversion chart. For this list, I’ll give ranges for all the ingredients other than the beans. If using dried beans, cook them in whatever manner works for you (reserving some of the water, actually all of it, for a soup base). Let them cool to a temperature where you can work with them. Or, drain the canned beans, reserving some of the liquid. Add the beans to your food processor or whatever vessel you’ll use to blend your dip with an immersion blender. 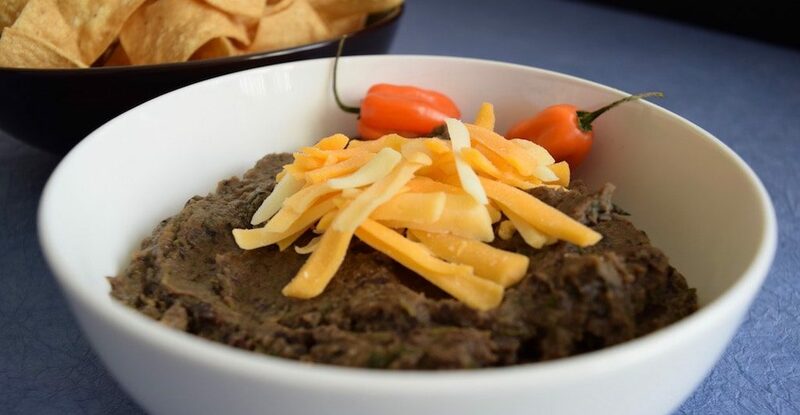 Purée the beans with whatever method and leave in the bowl/mixer you’re using. Add all of the other ingredients and blend away. It’s the cook’s choice as far as consistency. I like a highly puréed dip, while others may like it more coarse. If the dip is dry, gradually add some of the bean water while blending, until you reach your desired consistency. Tastes best warmed and served with a thick, robust chip. « Latkes – Not Just For Chanukah! Sounds delicious. Think I’ll make it for the Super Bowl.